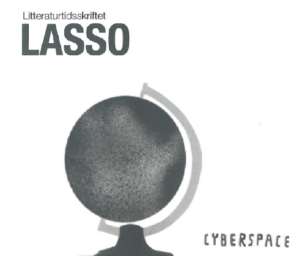 I was recently (March 25 – April 9, 2013) interviewed via e-mail by Pia Sophie Berg, a student at the University of Oslo and writer in the student-run literary journal Litteraturtidsskriftet LASSO. The interview (an abridged version of it) was published in the issue depicted above. I have scanned the published interview– abridged due to lack of space in the publication– and included the rest of the interview in this document, available online via Scribd. I ♥ E-Poetry’s title, particularly the use of the “♥”. Its goal of accelerating a literary and cultural shift towards the digital. A definition of e-literature written for literature students. I ♥ E-Poetry role in meeting the need for content curation.